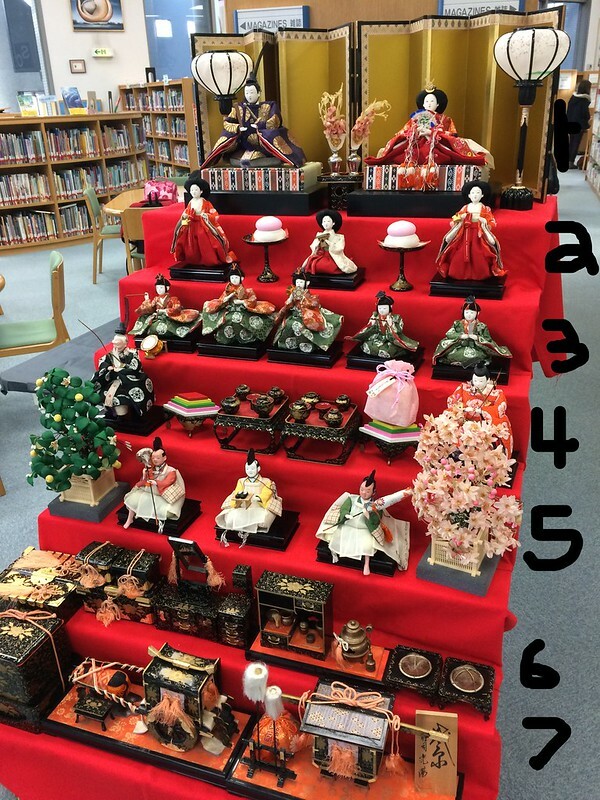 The hinamatsuri display in our school’s library. March 3 is hinamatsuri or girls day in Japan. It is traditional to display the doll set above and it is a day for praying for young girls’ health and happiness. 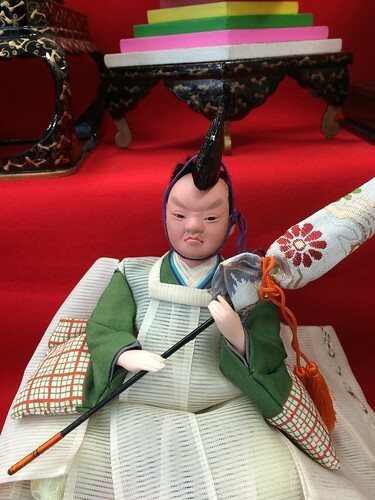 The custom of displaying the dolls comes from the Heian Period which was from around 800 AD to 1,100 AD. Heian means “Kyoto” and this was the period when Kyoto was the capital, the imperial court was at its height and ideas from China (Buddhism, Taosim, etc.) were most popular. It is not a national holiday. 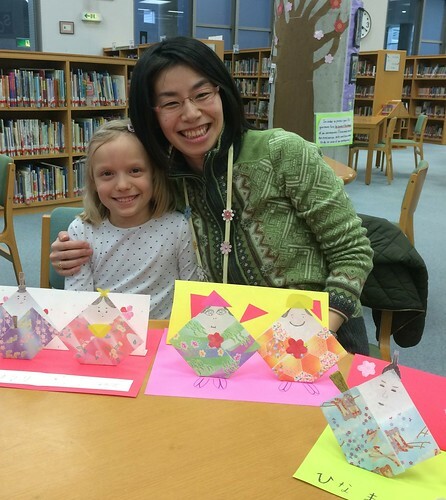 The librarian Chieko showed Ocean and I how to make hinamatsuri dolls. My favorite doll is one of the samurai with the grumpy look on his face. 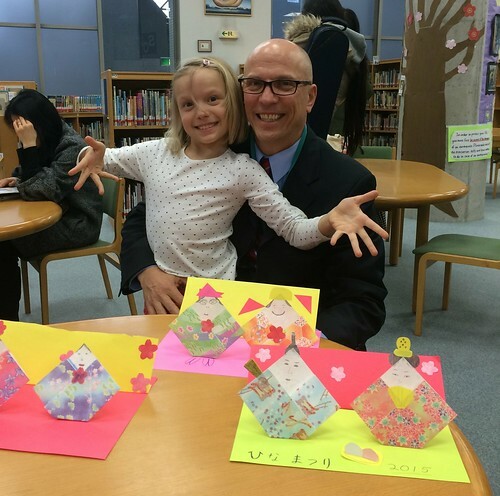 I would like to thank the librarian staff for putting up the display and for Chieko for spending some time with Ocean and I and making it a special day. I will spend some extra time with Ocean tomorrow in honor of the celebration.